This is a very robust and free flowering rose, bearing large, rosette-shaped flowers that are cupped at first; the petals later reflexing. 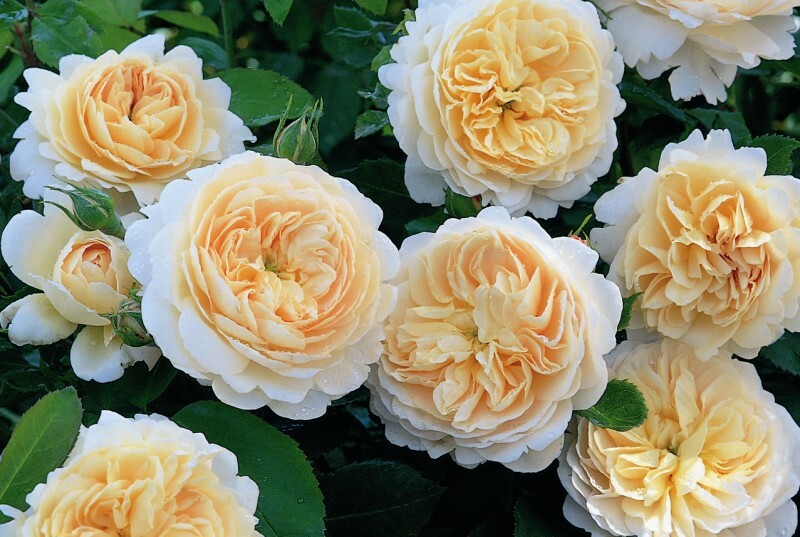 The colour is soft apricot, paling to cream on the outer petals. The flowers are produced very freely, in large clusters elegantly poised on the end of slightly arching stems. They have a delightful Tea Rose fragrance.